Not just a billing company! Same Great Company, Brand New Website! Over 25 years of progressive accounting management and software experience coupled with over 8 years of ABA specific back office functions. We pride ourselves on providing top notch, personal touch service at affordable rates. • Aetna • Anthem • BCBS • Cigna • Premera • Tricare • United • Value Options • And many more! Michele, Michael, and their team have been working with our company since we were made aware of their services in our area. They have handled our complex billing across diverse funding sources with ease and always complete our payroll in a timely manner. We can always rely on their timeliness and professionalism. Due to their focus on detail, our percentage of billing rejections/resubmissions decreased significantly and we were also able to recuperate past funds we thought were lost in the first few months working with them. As if their efficacy and professionalism weren’t enough, they are also truly a pleasure to work with, as they show their helpers’ hearts in all of our interactions. Hey Michele – I just wanted to send you a quick message and thank you for starting the ABA billing and insurance group and donating so much for your time to answer questions. I have been in the field for 13 years and while most everyone is willing to offer advice, only a handful have been willing to share the details of the secrets they have discovered. With the growth of the field comes growing pains and it’s so refreshing to see someone willing to share their knowledge and support those looking to grow as well. Thank you for being an ambassador for the field. As a new company providing ABA services we knew we wanted to outsource our billing services right away. There was more than just billing for the services. Take your new patients basic information and let Michele’s team take it from there. There was no time when billing was inaccurate or billed too late which was paramount to our cash flow. Following up with insurance companies on claims processing or authorization issues, interpret the hours requested into ever changing codes and units, aging reports, hours left per authorization period, statements mailed/emailed to beneficiaries are just few items that are allowing us to spend more time on the clinical side of the company and improve the quality of the services we provide. Thank you for the role Michele’s team is playing alongside. 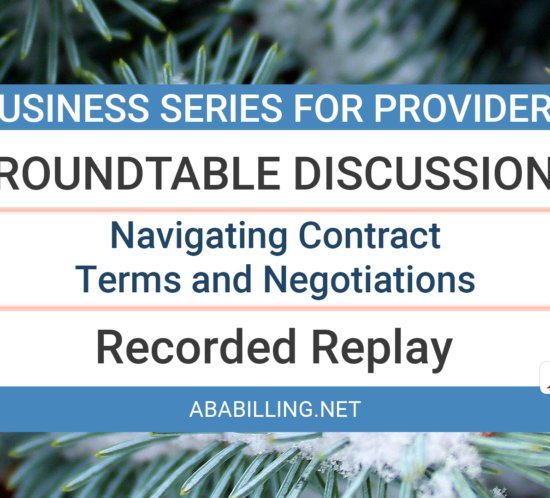 What Is ABA Therapy Billing? 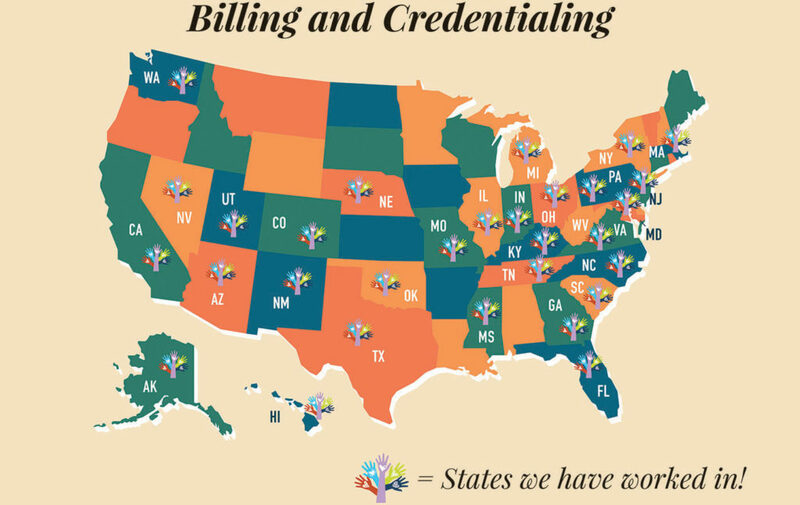 ABA Therapy Billing is a specialized billing process beyond standard medical billing for Applied Behavior Analysis Therapy (ABA) largely utilizing 2019 AMA CPT Category 1 billing codes for Adaptive Behavior Services – for specific therapy applications, including Behavior Identification Assessment, Treatment by Protocol, Protocol Modification with Simultaneous Direction of Technician, Group Therapy and Family Training. 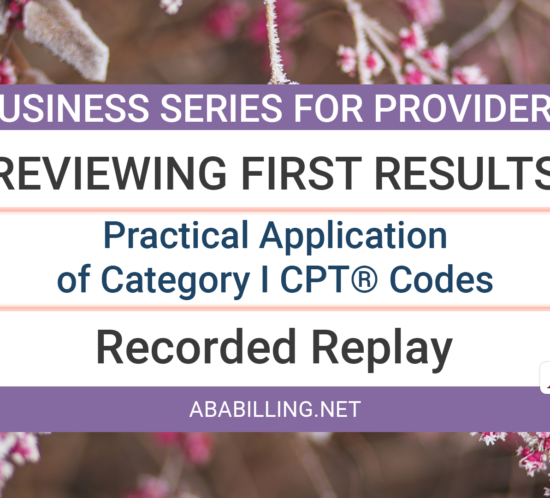 Ready to see how we can help make your billing and revenue management, eligibility and authorizations, credentialing, or back office training easier? 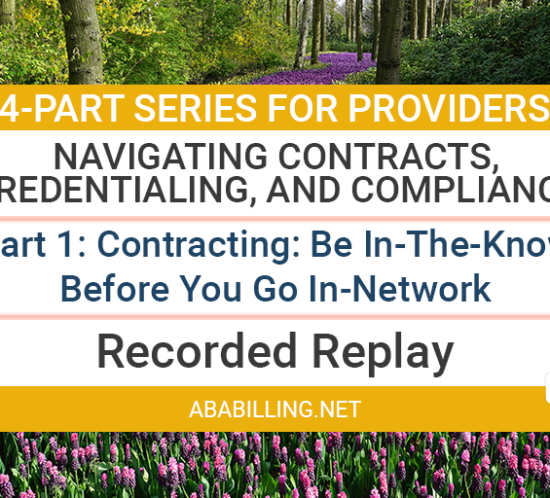 We provide ABA Therapy insurance billing blogs for ABA Therapy providers, ABA Therapists, BCBAs, and provider administrators offering tips and advice to keep you on top of your game, insights into changes in processes, and much more. Follow us on Facebook and Twitter to keep up with us as we travel to conferences and work toward helping the ABA community as we bring insurance and agencies together. 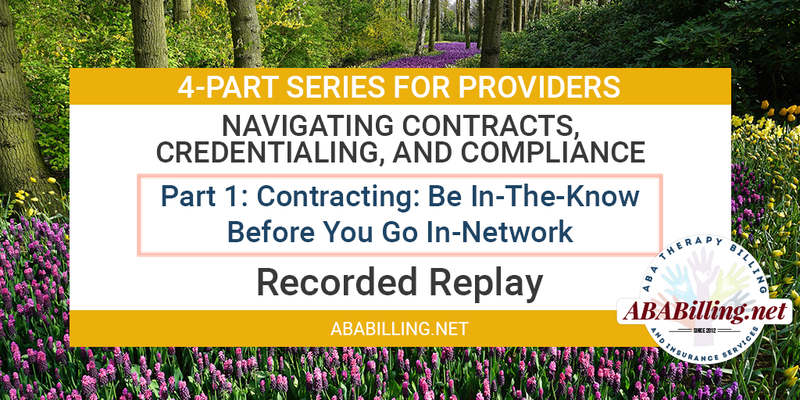 Our March webinar, part 1 of a 4-part series on navigating insurance contracts, credentialing, and compliance!